Although the majority of marketers don’t realize it, Twitter is not just another social media tool, but can be used as a powerful marketing resource. Since Twitter is so fast paced and needs quite a large number of tweets to be sent every day, it can eat up chunks of your time to implement, monitor and retweet. This article will help you achieve better results, and provides two little-known ways (one paid and one free) of automating as much of the time-laden tasks as possible. It’s important to be clear about your objectives for using each social media channel, as this will drive everything you post. 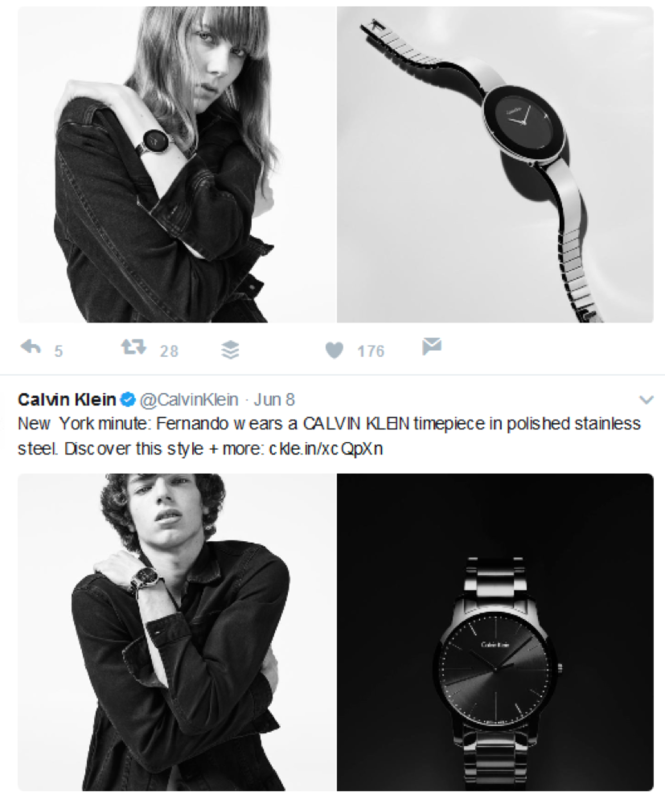 Don’t neglect your social media branding, which should also be planned. To get the best results on Twitter, you’ll need to schedule give or take, 15 posts a day. The good news is that you don’t need to come up with new tweets daily; instead, once you’ve come up with some content, you can recycle it and automate the recycling process so that your posts are sent to Twitter forever if that’s what you desire. Create a new account with IFTTT. Set up a new applet by clicking on “My Applets”, then “New Applet”. Click on “this” – “Google Calendar”. Click “Event From Search Starts” which will be the trigger. 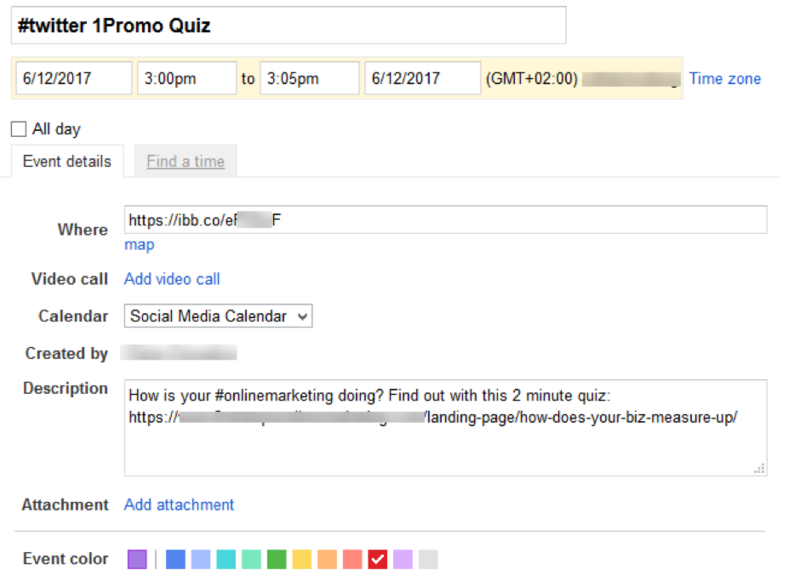 Using this method will allow you to include a hashtag in the description field of the Google Calendar entry so that IFTTT knows what to trigger. Use something like “#twitter” as the keyword for IFTTT to read and trigger the action. Now click “That” – “Twitter”. Click “Post a Tweet With Image”. In “Tweet Text”, delete the title and it’s brackets, and then click on “”Ingredient” – “Description” to change the Tweet text from Title to After entering “#twitter” in the description field of your Google Calendar entry, you can include additional text, which will be for your reference only. What you actually want to write in the tweet must be added to the Event Description of your Google Calendar Event. Now create a social media calendar in Google Calendar to keep everything nice and organized. To schedule a tweet, all you have to do is create an event on your Google Calendar, making sure to use the title “#twitter”. In the event description, add what you want your tweet to say. In the location field, insert the image URL. It will be simple to repeat any tweet. Follow these instructions. Be sure to test that it works. Monitor it closely to see that everything works together nicely. A tool created by a pro developer and a marketing guru, Narrow is a Twitter automation tool which does not just help to build followers, but a high quality targeted audience because this is where the power of Twitter lies. It automatically unfollows people who don’t follow you back and unlikes tweets within 24 hours, so you can keep your audience targeted. The tool automatically follows and likes people who would be interested in what you’re selling. 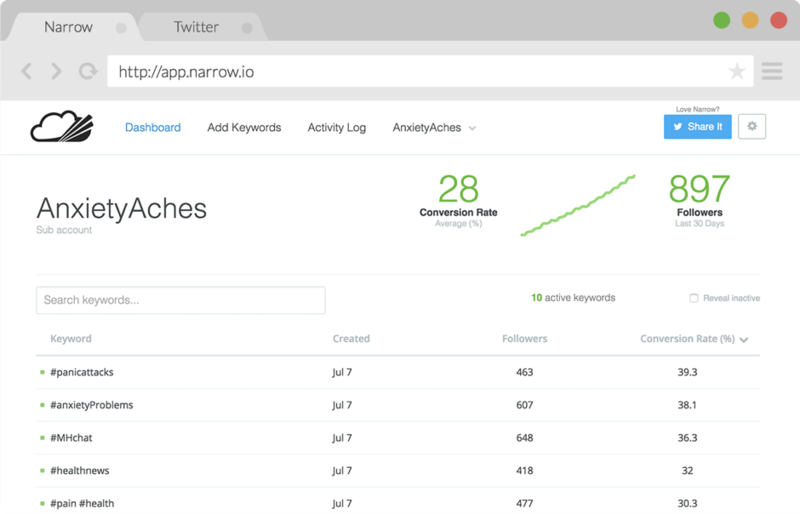 On the dashboard, analyze how your keywords are doing and how many followers that keyword has produced. Check how many followers you gained in a certain time period, and what the conversion rate is. When setting up your keywords, the tool provides a sample audience to approve, so you can make sure you’re targeting the right people. Narrow saves a huge amount of time by automating functions you’d normally need to perform manually. In general, there are a lot of a great way to use web scraping tactics to help you grow your marketing efforts. Optimization and automation can only effectively be implemented after some other things are taken care of, so first things first, plan your Twitter goals – which should be different to your other social media channels and build a social media brand plan. Use the Narrow tool to increase the right Twitter followers. Recycle tweets with Google Calendar and an IFTTT applet. Thank you for sharing valuable thoughts. Keep posting!